1. Empty Trash or Recycle bin by mistake. 2. Format hard drive or SD Card without backing up Photos. 3. Your Camera\’s SD card is not ejected safely. Have you ever accidentally deleted photos on your camera, USB drive, or anywhere else? 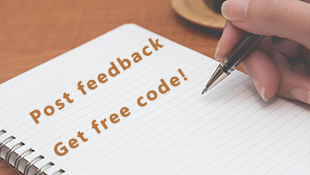 We all know that Windows will try to prevent you from making a mistake by providing the Recycle Bin, where deleted files are still retrievablefor a while—but unfortunately it doesn’t work for external USB drives, USB flash drives, memory sticks, or mapped drives. What you might not know, is that you can actually restore those pictures anytime – even from your camera’s memory stick. You just need to know how to find it with the right tools, and Renee Undeleter is exactly the reliable photo recovery software you need. If you do want to conserve that memory, please do as follows. Step 1: Confirm the location where the photo is missing. You should first make sure where your lost photo is located. You can do it connecting your camera to the computer, or if your photo was previously stored in the memory card, remember to insert the card in the camera or use a card reader to connect it to your computer. If you have copied the photo onto your computer, the photo may be on your computer\’s hard drive. 1. Safely eject the SD card at once and do not write any new data into the disk. 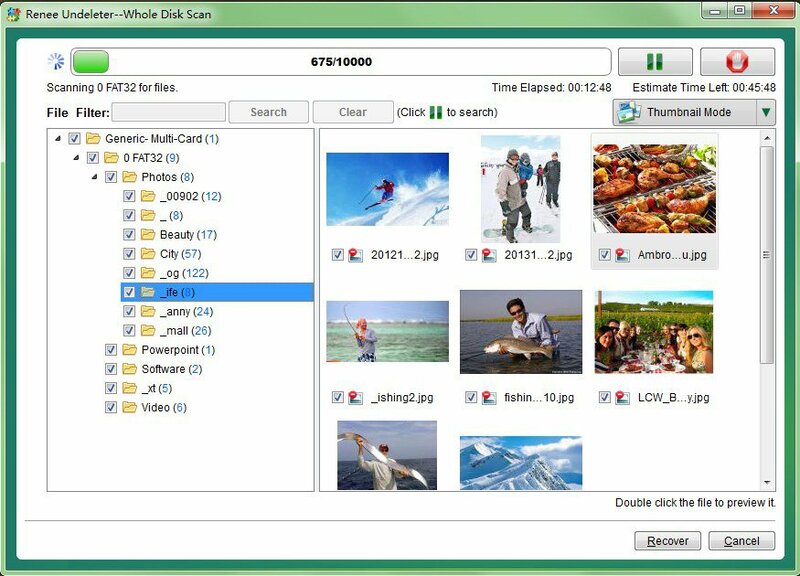 (Write new data – store anything new, like photos, videos and documents, into the disk which you have deleted your files. 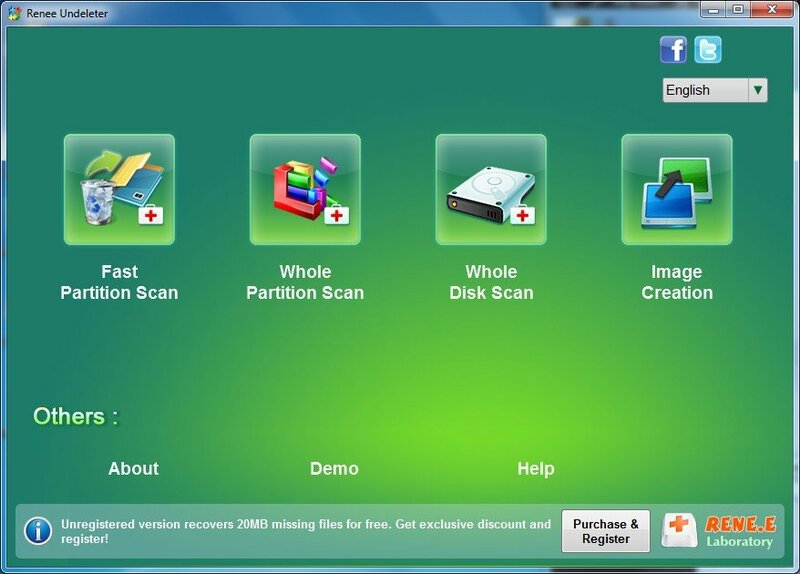 Step 2: Launch the software and click “Whole Partition Scan” which is suitable for “Formatted data recovery” and “Memory card data recovery”. RAW image formats supported: Nikon NEF, Canon CRW and CR2, Kodak DCR, Konica Minolta MRW, Fuji RAF, Sigma X3F, Sony SRF, Samsung DNG, Pentax PEF, Olympus ORF, Leica DNG, Panasonic RAW and more. Step 3: Select the source device that your deleted files was in. Step 4: Advanced technology of Renee Undeleter enables you to preview the scanned pictures while scanning and find out the one you need. 1. When the photo is deleted, the data itself is not erased but is still stored on the source devices. Therefore, in order to ensure that the deleted or lost photo is intact and is still recoverable, do not use the memory card any more. 2. Whatever the cause of your file loss, the best method of data recovery is a good preemptive data backup plan. If you- use Windows, you now know step-by-step how to automatically back up your hard drive, and avoid this sort of things to happen again. Retrieve/recover deleted photos from formatted SD cardDeleted, Formatted or Inaccessible? Get all back now. Renee Undeleter - Recover deleted files and data. >>> Still have any other question? Get technical support now!